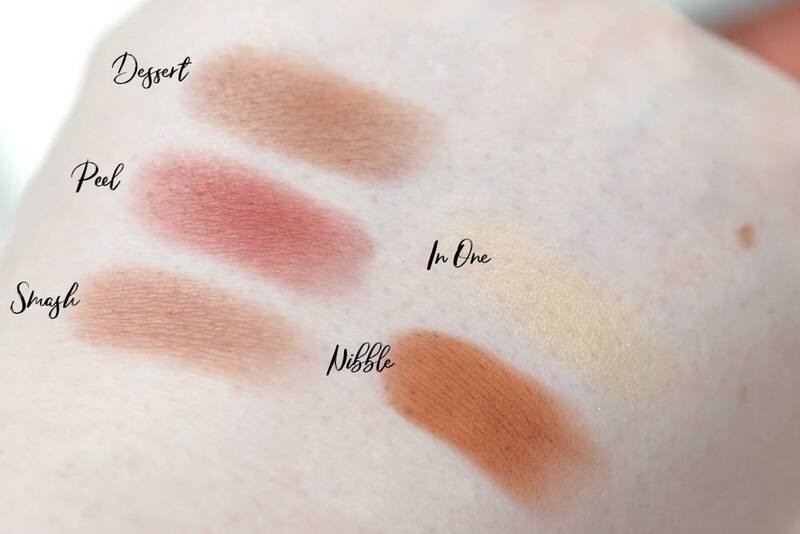 I’m always excited whenever Makeup Revolution launch new chocolate bar palettes under their I Heart Makeup brand as I own every single one of them, and thus far there’s only been one disappointing ‘chocolate bar’ style palette and that was the Unicorn Love Palette. 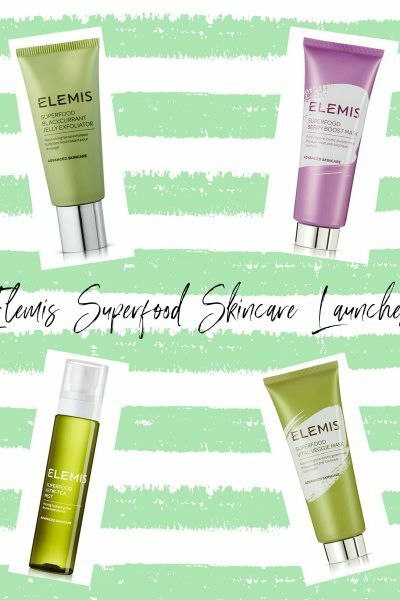 Considering Makeup Revolution have launched fourteen different chocolate bar palettes, I think one disappointing palette is pretty good going so I always snap up their new additions as soon as they launch. 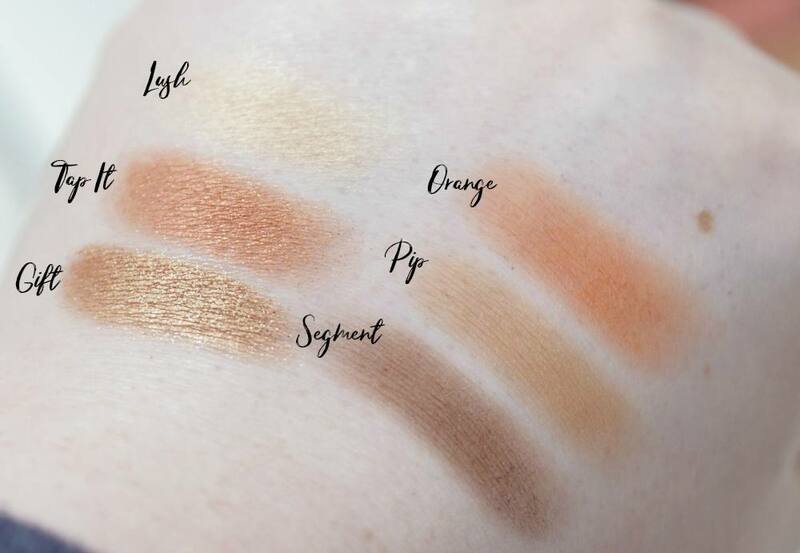 The newest I Heart Makeup Chocolate Bar palette is the 24k Gold Palette which I have coming up on Sunday for you, but before that unexpected launch, the newest was the Makeup Revolution Chocolate Orange Eyeshadow Palette £8.99. It’s Mine – a pale off white with yellow gold shimmer. Clementine – a pale, warm toned chocolate brown matte. 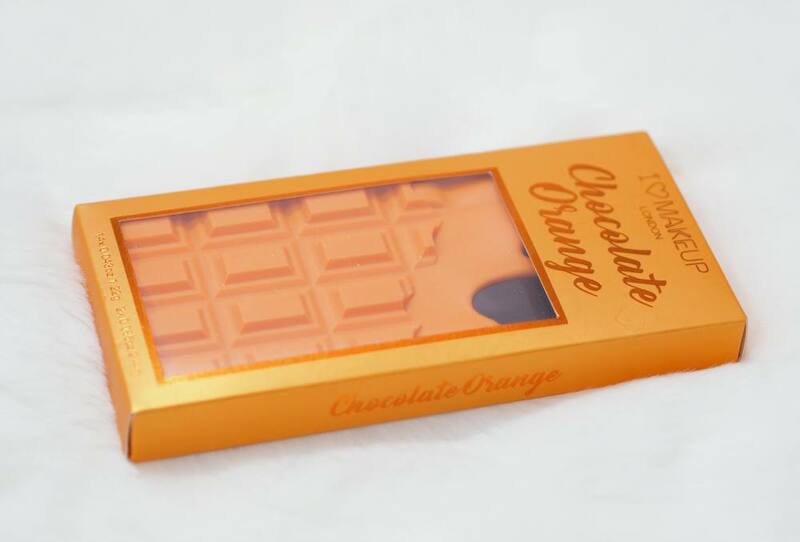 Chocolate Orange – a bright orange satin. Ribbon – a pinky brown toned matte. Silky Smooth – a pumpkin orange matte. Gift – a rich, golden brown foil. Tap It – a warm coppery brown shimmer. Lush – a pale yellow gold shimmer. Segment – a neutral toned dark brown matte. Pip – a warm toned light brown matte. Orange – a deep orange matte. Smash – a warm toned medium brown matte. Peel – a deep reddy toned matte. Dessert – a warm toned dark chocolate brown matte (a warmer version of Segment). Nibble – a warm toned rusty orange matte. In One – a light shimmery peach. I just want to clarify that my eyeshadow swatches are always done dry with absolutely no primer or base, and are done by a dry fingertip being swirled in each pan twice. 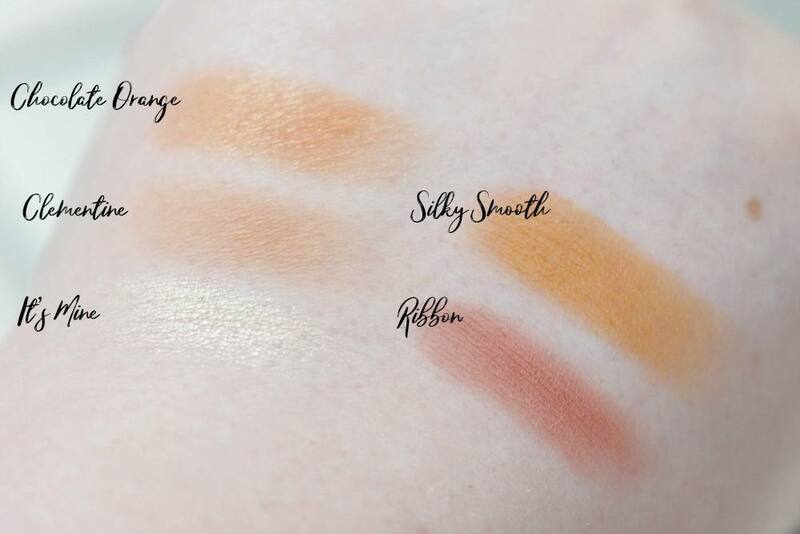 If a shadow doesn’t show up very well in the two circulations, I never go back in and build the colour up as I want to show you a true representation of shades and their pigmentation from a swatch standard I do for all palettes and shadows regardless of price. 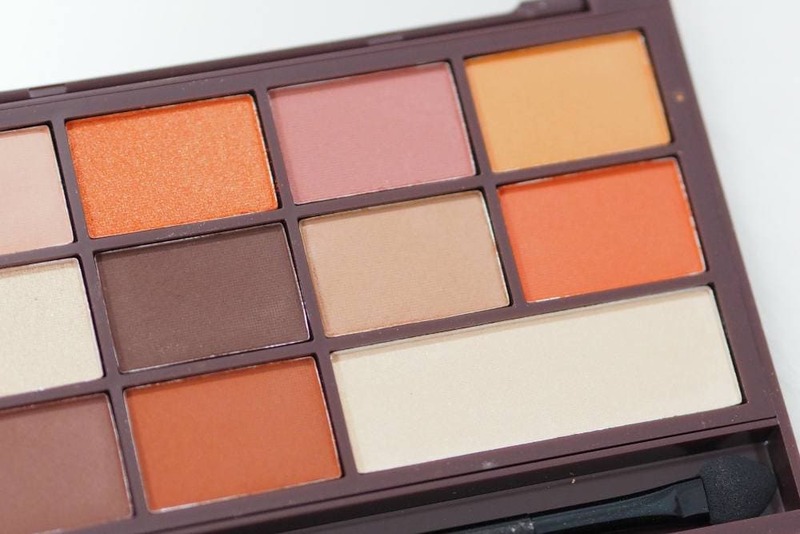 There are sixteen shades within the Makeup Revolution Chocolate Orange Eyeshadow Palette and in my opinion there is only one shade which I don’t love and that is It’s Mine as it’s a little chunky and lacking in pigmentation compared to the other fifteen. However it’s one of the two larger shades which are designed to be base shades, so I’m more than happy to use In One instead. 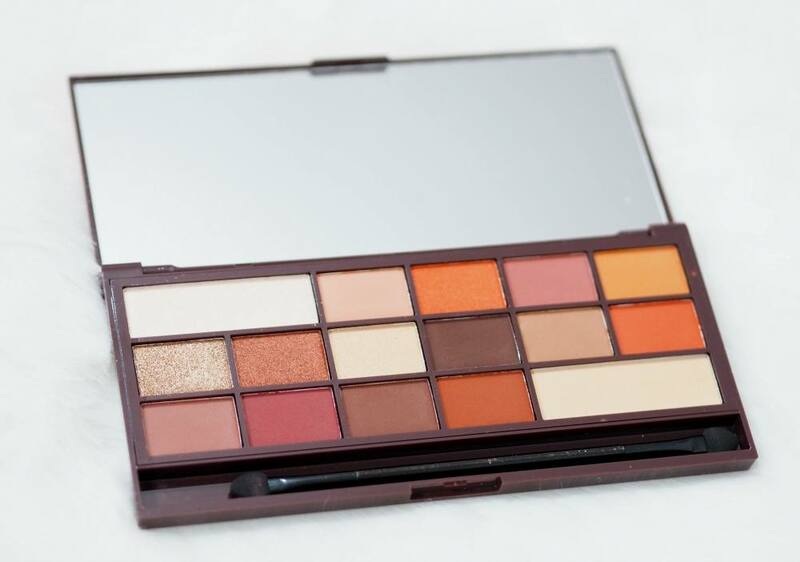 Normally with eyeshadow palettes, it’s the mattes which are typically more disappointing but the mattes in this palette are incredible. 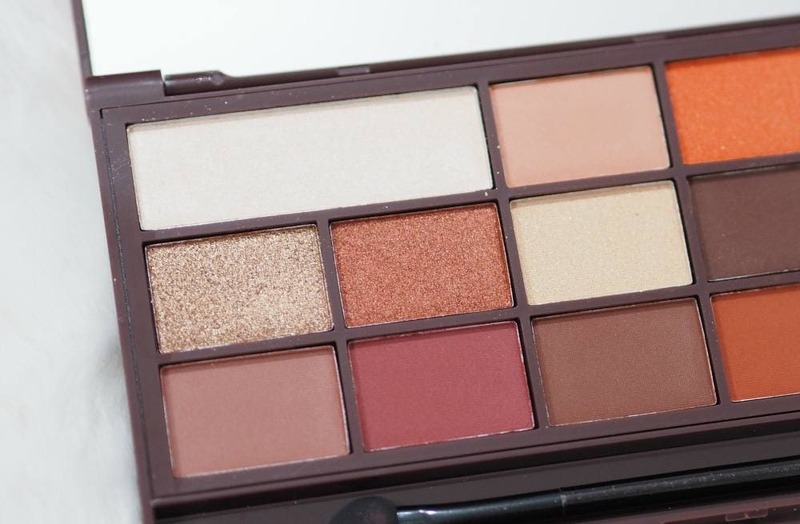 I love the warm tones within this palette, and I think you have to be a warm toned shadow fan to enjoy this palette as there’s only a couple of cool tones within the palette. 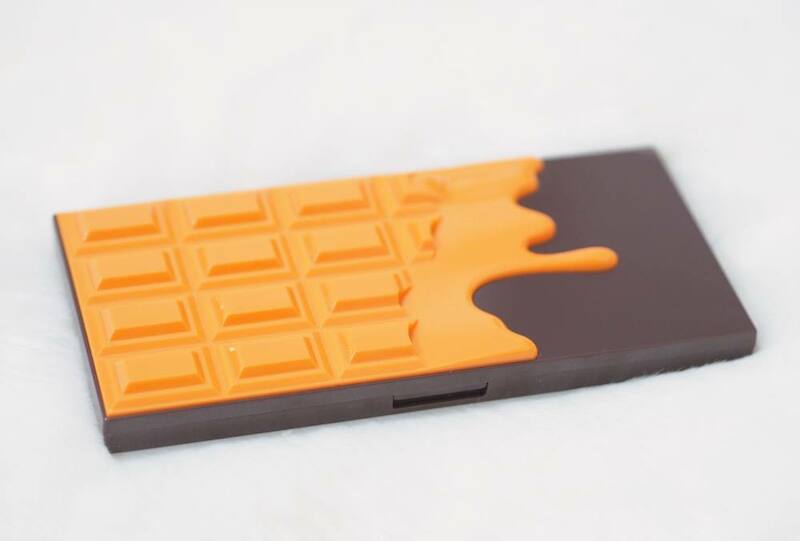 Although with a name like “chocolate orange”, warm tones are definitely to be expected. 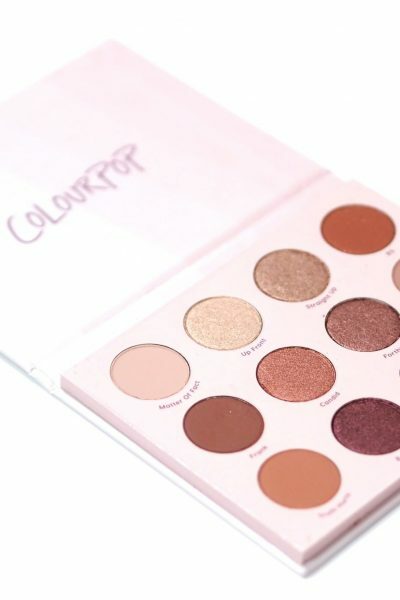 I don’t think there are any other palettes within the I Heart Makeup Chocolate Bar collection which are similar to this palette so I think it’s a great addition to their range, and I’d love to see some more cool toned palettes in the future. I can’t wait to show you the new 24K Gold Palette later this week..
I’d love to know your thoughts on the Makeup Revolution Chocolate Orange Eyeshadow Palette?